Figure 9. Boom on Support, Right Side. Figure 8. Dipper Cylinder Hoses. 12. Position tube (Figure 10, Item 5) on machine. 13. 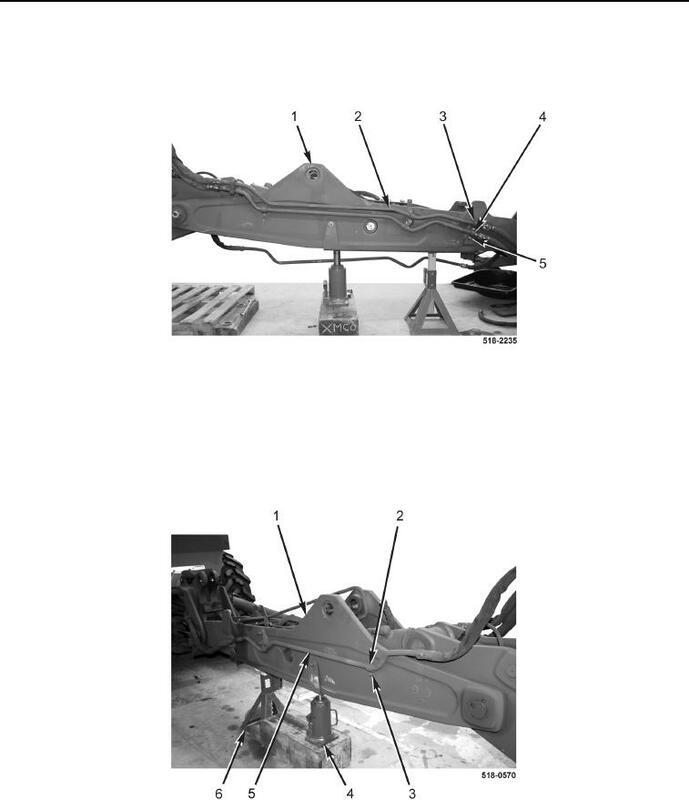 Install three clamps (Figure 10, Item 2) and new locknuts (Figure 10, Item 3) on tube (Figure 10, Item 5). Figure 10. Boom on Support.